July 8, 2015 – Ernie Maresca was born on August 21st 1938 in the Bronx, New York City. He began singing and writing in a doo-wop group, the Monterays, later renamed as the Desires, and, after Maresca left, as the Regents, who had a hit with “Barbara Ann”. In 1957, his demo of his song “No One Knows” came to the attention of Dion DiMucci, who recorded it successfully with the Belmonts on Laurie Records, the record reaching #19 on the Billboard Hot 100 record chart in 1958. He also wrote for a great deal of other artists throughout the 1960s, usually in a style that combined doo wop with the developing sounds of girl groups or Dion’s boastful Bronx pop/rock; the Regents’ modest modern doo wop hit “Runaround” was the biggest of these. Although he didn’t think of himself as a singer, and was an average nondescript vocalist at best, he was persuaded to record as a solo artist. 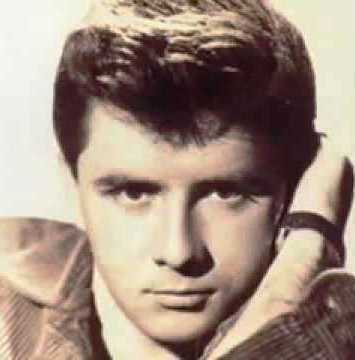 In mid-1962, he ended up with his one and only hit under his own name, “Shout Shout (Knock Yourself Out).” A fun if extremely basic rocker that used the same chord pattern that anchored Dion hits like “Runaround Sue” and added the dance-rock energy of bands like Joey Dee & the Starliters, it made number six. Maresca made an album in 1962, and continued to record, without success, for Seville through 1965 and then for Laurie during the remainder of the 1960s. He kept on writing for plenty of artists, too (often on the Laurie roster), and in that capacity had some modest hits with Reparata & the Delrons (“Whenever a Teenager Cries”), Bernadette Carroll (“Party Girl”), and Jimmie Rodgers (“Child of Clay,” co-written with Jimmy Curtiss). While some of his songs for Dion were classics, Maresca was a limited songwriter, many of his compositions limited to variations (or replicas) of the ascending, circular basic doo wop chord structures heard on Dion’s “Runaround Sue,” “The Wanderer,” “Lovers Who Wander,” and “Donna the Prima Donna.” By the 1970s he was head of Laurie Records’ publicity department, which concentrated on reissuing the label’s catalog, and as of 2000 was working as a consultant to EMI and administrator for Laurie’s publishing. Ernie died at his home in South Florida, after a brief illness on July 8, 2015 at the age of 76.